How the mediocre have fallen. Once, this lot ruled the world. Now they’re a joke. They sound like an Oasis covers band trying to write their own material and falling short of the mark. On a good day, Noel Gallagher is one of the best songwriters in the world. But he doesn’t seem to have had any good days recently. It happens to every band that gets big - they forget what it is that made them good to start with, and make music through habit. An addiction to fame - and a fear of the ‘cold turkey’ that is everyday life - bolsters up egos until they realise that they can’t live life without fame and money anymore. ** Oasis* forgot what made them good in 1997 : they forgot to write songs. If this album is a _‘return to form’,_ its the form of 1997 : bloated, meaningless songs about nothing whatsoever, bludgeoned with unoriginal production, too many drum fills, anorexic guitars, and blatant facsimiles of The Btles*. A quick overview : Liam sings 7 songs, there’s 3 Noel numbers, and an Instrumental. Liam writes three songs - including the juvenile “Songbird” that prove he should stick to the day job of singing, and leave writing to someone who used to be able to do it. For a rock band, there’s also no rock. The stomping demo of “Hindu Times” has become a slick, soulless piece of vaccous stadium tosh. The other songs are normally variations of the theme of a ballad - mid-paced attempts at introspection that fail to realise that if you’re looking inward, there’s got to be something inside to start with. There’s no soul here. The finer qualities of Oasis - aspirational, transcendental music - flicker only briefly. “Born On A Different Cloud” _ starts fabulously, promising a song as levitational as _“Champagne Supernova”, before becoming swamped in pedestrian, unambitious playing, sub-Stones honky tonk piano, and foghorn vocals. In fact, Liam’s vocals are so bad on “All In The Mind” that his brother’s sings backing vocals over the entire song : every last line of the song has an identical backing vocal. The problem with Oasis is the fact that whilst Noel can and often does write amazing songs, he hands them over to a bunch of inspired, visionless dolts (including himself) who smother the songs in big, dumb rock moves and dated, boring, unoriginal arrangements. There is one nugget of hope. “Stop Crying Your Heart Out” is easily the best song Oasis have recorded in seven years. It’s a stonking, fabulous thing that manages to convey a message of hope and resilience in the face of despair, and a sorely needed reminder of what Oasis were like when they could be good. And the album version of only 1% as good as the plaintive, heartbreaking solo demo that shows Noel should sack the lot of them and become the next Bob Dylan. 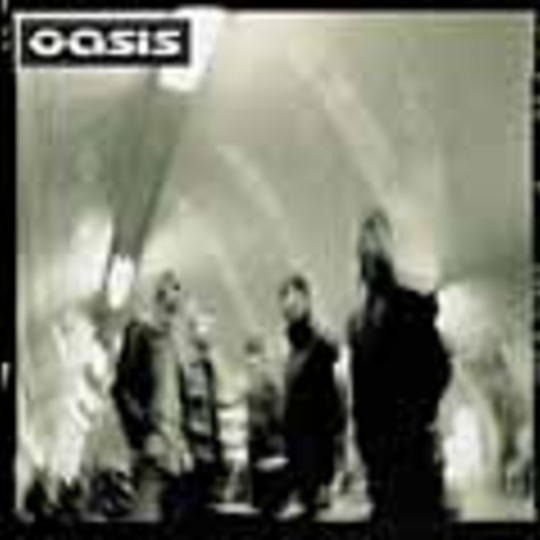 Frankly, bar that one song, “Heathen Chemistry“, is pedestrian, dull, unimaginative pub-stadium rock shite that no label would touch in a million years if it was made by an unsigned band. Oasis are a joke band now, and whatever they do from here will, based on the past five years, have no relevance to anyone or anything. Avoid.